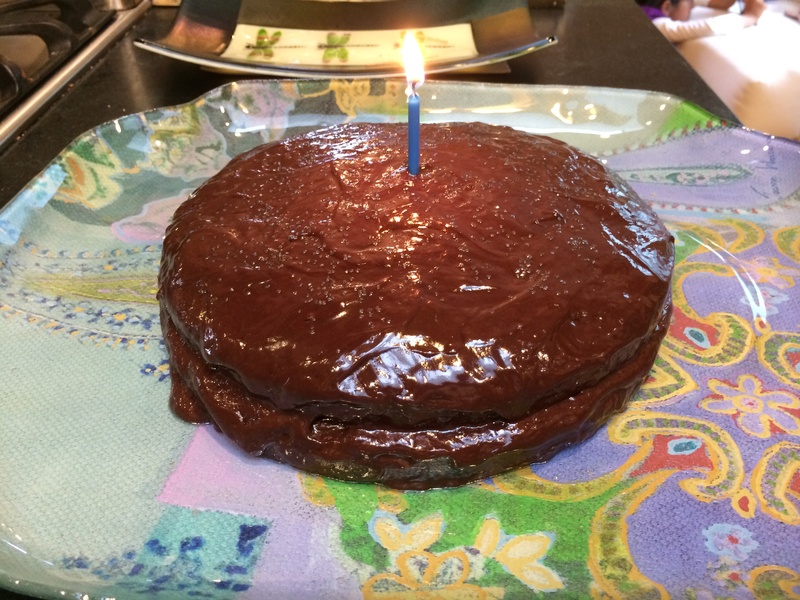 I’m no pastry chef, but look, chocolate cake! Husband: Has a birthday. Chocolate fan. Not a spring chicken, worries about sugar and fat. But wants cake. Needs cake. Me: Not a fan of chocolate. Don’t have a sweet tooth. Not much of a pastry chef either. But cake must be had! I think I did decently. My husband thought so, even though he spent the whole time worrying if I was making the frosting rich enough and covering all the gaps and the rest of the time worrying about how much fat he would be consuming. 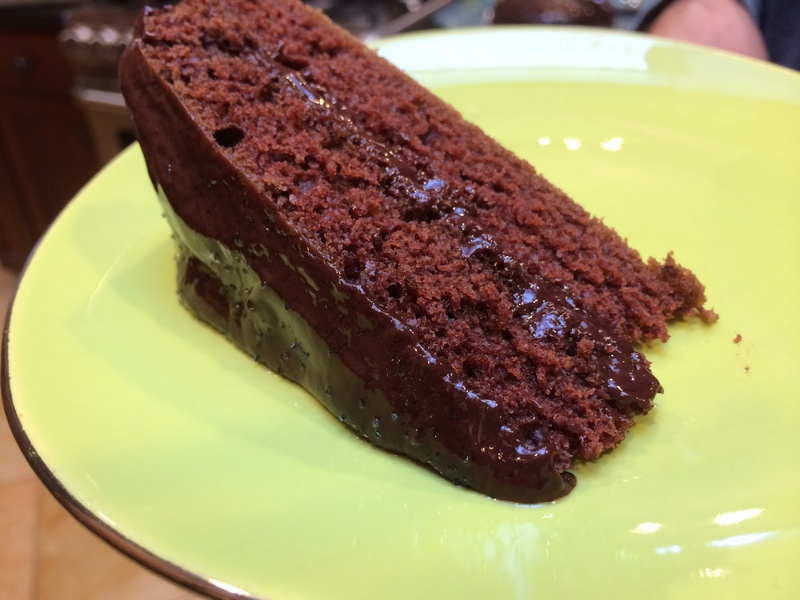 In any case, this is about the simplest cake one can make and it turns out great. I got the recipe from the King Arthur site, but just to show how simple the cake and frosting are to make, I will put down the recipe in a sort of telegraphese. 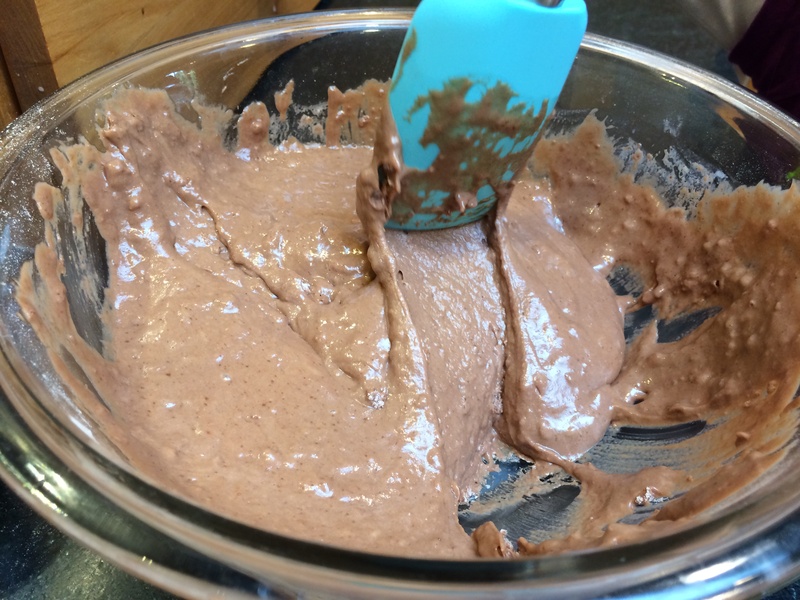 In a bowl, stir together the dry ingredients: 1.5 cups all purpose flour, 2/3 cups brown sugar, 1/4 cup unsweetened cocoa, 1 teaspoon baking soda, 1/2 teaspoon salt. Pour in the wet ingredients: 1/3 cup almond oil, 1 tablespoon vinegar, 1 teaspoon vanilla, 1 cup milk. 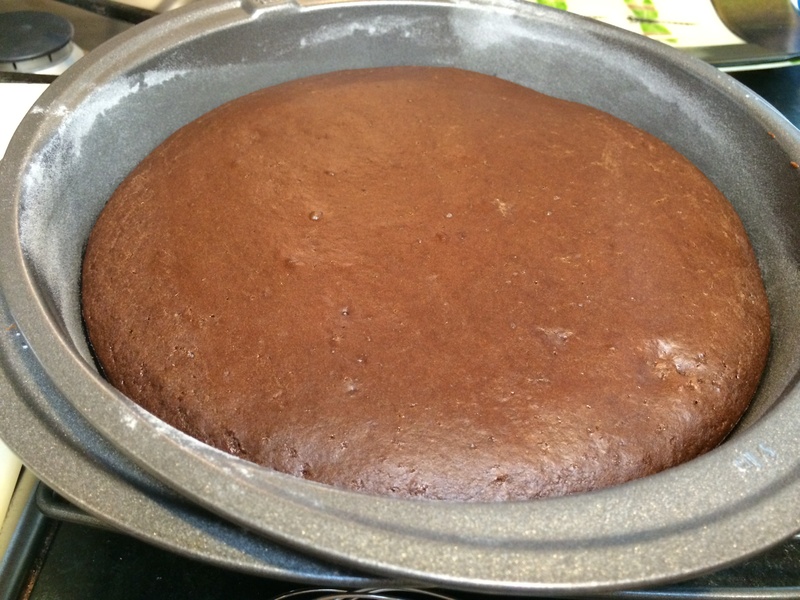 Pour half into one 8-inch round cake pan, half into another. Bake at 350°F for 20 minutes. If you pour it all together into a single cake pan, let it bake for about 30-35 minutes. In a bowl, microwave 1 cup cream for 1 minute. Put in 8 ounces bittersweet chocolate and stir, microwave again for 1 minute. Keep stirring, if the chocolate still refuses to melt, give it 30 second whirls at a time and stir, stir, stir. Eventually, it will become luscious and smooth. 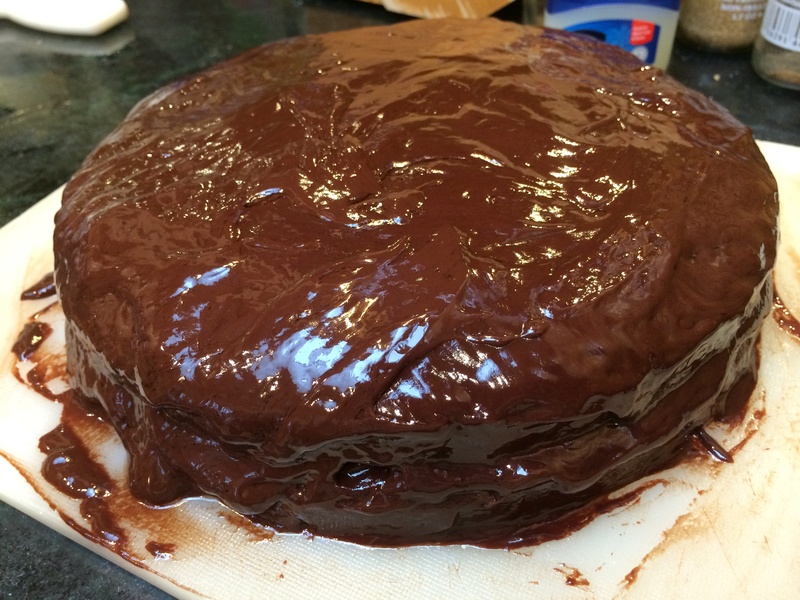 Allow it to cool slightly, then slather it over one layer of the cake, lay the other layer over it, and slather over it some more, and slather over the sides.